Su’eddie Vershima is an African poet, development worker, and president of African Writers at the University of Sussex, where he currently pursues an MA in International Education and Development as a Chevening Scholar. Vershima is the author of Home Equals Holes: Tale of an Exile, The Bottom of Another Tale, and Bring our Casket Home: Tales one shouldn’t tell. He was Joint Winner—Association of Nigerian Authors (ANA) Prize for Poetry 2014, Winner, Mandela Day Short Story Prize 2016, listed on The Nigerian Writers Award 100 Most Influential Nigerian Writers Under 40 (2017 & 2018), among other notable achievements. In this insightful conversation with Kreative Diadem, Vershima talked about his early days in writing, what inspires his writings and his forthcoming works amongst many other things. Enjoy. KD: Let’s meet you, can you tell us about yourself? Vershima: I am a husband and father, friend and writer. I am also a development worker, emerging education expert, and a believer in the human project. I am a Chevening scholar, currently studying for an MA in International Education and Development at the University of Sussex where I am also the President of African Writers. KD: When did you start writing professionally and can you tell us a bit about the early days? Vershima: I am not sure I am a professional writer because the sense of professional writing, particularly as seen in the West is different from what we have in Nigeria. In our country, we are just passionate people who let the ink of our thoughts keep flowing in diverse ways. It is something we find ourselves doing, those of us who do it, and try to keep getting better each day. Having said that, I will just note that I was fortunate to be born into a creative family. I grew up with my elder brothers, Gabriel Agema, Taver, and Sever Ayede, doing magic with comics and making toy men. My sister, Theodora used to draw Captain Love too and tell her tales. These annoying siblings of mine would not end any comic so I eventually decided to do mine. So, in a way, I owe my writing foundations to these ones and to my mother, who bought me a lot of the Heinemann books. My dad told me stories he had read or heard. So, I was creating consciously and writing various forms of stuff. My younger siblings, Ngohide and Terhide inspired me to keep on, even as my other brother Ver was a motivation. In secondary school, I would draw comics with my friend, Tardoo Ayua, who drew far cooler stuff. There was also Obinna Okeke, who wouldn’t do as much. He was good too, but not as cool as us. (Laughs). I would write stories too and show my teacher, Mr. Emmanuel Mbatsavde. My creative process took a turn when I got into the university, and was tutored by writers like Dr. Andrew Aba, Dr. Maria Ajima and Professor Moses Tsenongu. I had great support in those early days from my friend, Sam Ogabidu, who encouraged my efforts. He was the ANA Chairman in Benue and I was the financial secretary, administrator and e-officer. I also got support from my colleagues in the university, Andrew Bula and Joshua Agbo, to mention two. But the biggest change to my writing came when I encountered the writings of Professor Hyginus Ekwuazi. He was a revolution to my writing and thinking. He is a remarkable man who remains one of my favourite persons till date. In a roundabout way, that is a summary of most of my writing history. It could be longer but let me not bore you. KD: How would you describe your writing style? Vershima: My writing style is evolving. I used to have a lot of my cultural roots in my work. Prof. Ekwuazi used to taunt me and say he understands that it is the typical way of everyone trying to ensure that their corner of the backyard was preserved. In essence, we are all fighting to preserve what we can in a globalising world eating away at all we once were. A world where our diversity is being swallowed as we become homogenous in a global village. My writing, these days, are becoming more conscious of my immediate surroundings. I am describing far more than I used to. I used to believe that my writing should be somewhat like some parts of the New Testament tales, particularly in its description of key characters where you are left to imagine what they looked like. All that is changing and I own it. It is life’s constant, change. Other than that, I can say my writing is deliberate. I think and think hard before I write. A simple poem or tale takes more months and months, some times, years. So, it is a deliberate and often, tiring process. But who knows, even that too might change at some point. KD: Can you give a brief description of your writing process or routine? Do you have any helpful writing tips you’d like to share? Vershima: My writing process is usually not healthy. I am usually the editor and creator at the same time. And this is not right or helpful many times. We had this workshop in Oxford early this year and Nick Makoha who facilitated kept mentioning that these are two different people. The creator comes into conflict with the editor as they are different. As such, we have to let the creator do his/her work, then let the editor work much later. I wrote on this and put it up on my blog. You can search for it online and share that link. Might be useful for someone somewhere, especially as Makoha says there is no such thing as writer’s block! KD: What are some of the challenges you face as a writer and poet? What steps do you take to overcome them? Vershima: Life conflicts with writing. You have to earn and you have to be all the other things you are. At the moment, I am also a scholar so I have to face work, studies, life, and family while also trying to do my writing bit. I am also almost always working towards the promotion of writing and writers, which can be distracting itself. We are currently working towards a literary festival in Benue in June 2019. A few months away. That is work and distracting, as you cannot near imagine. The death of Pius Adesanmi on Sunday (March 10, 2019) also reminded me of the part of the writer as a social crusader. Especially in our clime. Having to do that too, is something that will challenge my creative process. But in the end, it is what it is. Writing is a calling for me. Something that is a part of me which I cannot discard. We will do what we can to move on. KD: What was it like completing and publishing your first book? Vershima: It was awesome. I published my first collection in 2012. I would have published earlier as I had – or thought I had – the right material. My foster father, Mr. Charles Ayede, told me to hold on a bit. He wanted me to get my work through a few critics and things like that. He would also tell me that Literature would not put food on my table. By some strange coincidence, his death gave birth to new poems in his honour. They are what came to be the chunk of Bring our casket home: Tales one shouldn’t tell, my first collection. Hyginus Ekwuazi, who wrote the Foreword to the book, helped me with part of the title and also inspired the poem, ‘Tales one shouldn’t tell.’ The book also helped birth SEVHAGE Publishers. The second book we did was my cousin, Faeren Adzege’s book, A Teen for God. So, in a way, completing and publishing that first book set in motion several things that keep unraveling themselves each day. KD: In 2016, you won the Mandela Day Short Story Prize. What was the inspiration behind your winning entry? Vershima: The winning entry was ‘Washing the Earth.’ It was inspired by a sunny afternoon in Makurdi. I can’t remember the details but I know that my head kept spinning. It is one of those stories that tasked my imagination. KD: Who are some literary figures that inspire you/you look up to? Vershima: There are a lot of them, if I would be honest. The two top people on that list would my wife, Agatha and Hyginus Ekwuazi. Closely following is my near twin, Servio Gbadamosi. I am inspired by my friends and I am fortunate to have them around me and with me. I am inspired not just by their writings but also the work they are doing in the literary world and other spheres. I can easily mention the writers Abubakar Adam Ibrahim, Sam Ogabidu, Debbie Iorliam, Aondosoo Labe, Innocence Silas, Otene Ogwuche, Daisy Odey, Kukogho Iruesiri Samson, Dike Chukwumerije, Romeo Oriogun, and Dike Chukwumerije. It might be weird or ironical but there are also some people who keep me on my toes and inspire me greatly. The names that would easily pop up here include my sister, Jennifer Aduro, Oko Owi Ocho (Afrika), Deborah Oluniran, and Torkwase Igbana. These people are lights that really help me on many dark days. Following would be Justin Ebuka Muodebelu and Nana Hauwa Sule, who I believe in so much. There are other names I can call but let’s keep it short for now. KD: Do your poems and short stories have a unifying theme or you simply write on matters of the moment or what inspires you? Vershima: I am inspired by several things. Life. Events. Some times, even dreams. Other times, the inspiration just comes from within. I guess I should say, Aondo – God – does His magic, right? KD: What are some of your long term goals as a writer? Vershima: Well, it is to give myself out as much as possible. I don’t want to go back to Aondo with anything inside. To be able to be relevant to my country and to my generation in every ramification. To rise above ordinary creative fiction and verse to be a voice where words are meant to be spoken. I also hope to create platforms where more voices can be heard, collaborating with as many people as possible to make our land better even as we help those we can to be better. KD: Are you currently working on any book(s) at the moment? Vershima: Yes, a children’s book which had a limited publication last year but which would be out by June 2019. The title is Once Upon a Village Tale. I am also working on a short story collection and another poetry collection. 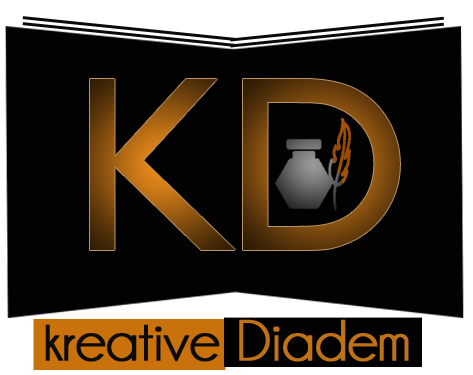 KD: Do you think there are enough opportunities for aspiring writers/poets in Nigeria? Vershima: For aspiring writers and poets, a lot needs to be done. For writers, a lot has been done, a lot is being done and will be done. More opportunities are opening and the landscape is getting more beautiful. Things can only get better. Vershima: I am not an aspiring writer. I am a writer. To all those who are aspiring, leave your aspirations and get into the business of writing.